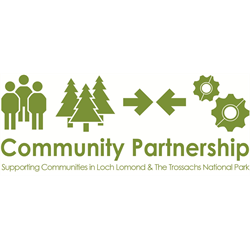 The Community Partnership (CP) is a membership organisation run by its members for the benefit of all communities in and around Loch Lomond and the Trossachs National Park. We provide guidance, support and information to help communities work together to shape and enhance their own community. We aim to work closely with communities and other partners to build confidence through training, access to resources, events and project support. We encourage communities to take an active part in the development of action plans, strategies, policies and projects that improve their quality of life.